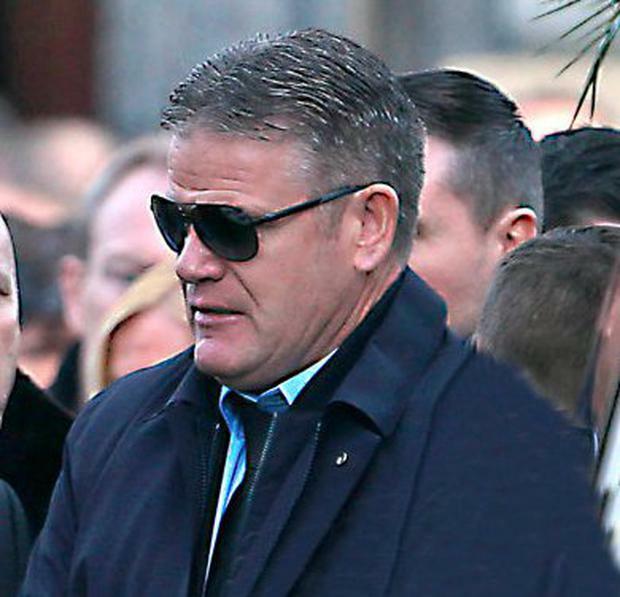 One of the Kinahan cartel's most senior associates will appear in court this morning following an international investigation into drug trafficking and money laundering. Thomas 'Bomber' Kavanagh (51) is due to appear at North Staffordshire Magistrates' Court after a combination torch and stun gun was discovered during a search targeting his trafficking network in the UK. The Drimnagh man has been a long-term target of several national garda units and is suspected of controlling a lucrative drugs patch in the UK's Midlands. Sources have described the operation between UK police agencies and gardai as one of the most significant joint criminal investigations between both countries. 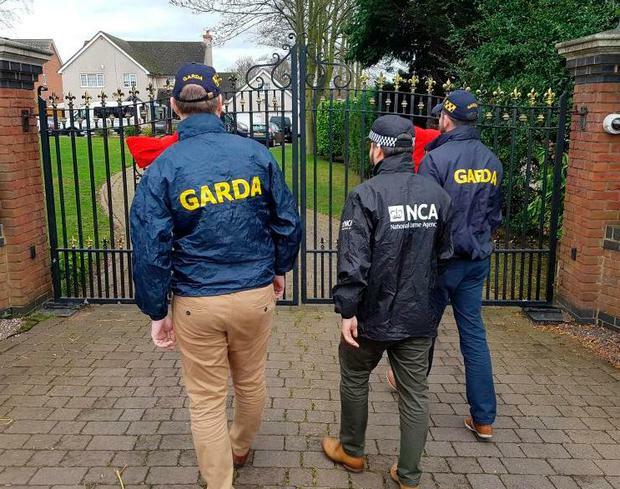 On Saturday, members of the UK's National Crime Agency (NCA), assisted by gardai, searched Kavanagh's luxurious mansion in the affluent Staffordshire neighbourhood of Tamworth. Kavanagh, along with a 20-year-old associate, was arrested at Birmingham Airport after the 51-year-old stepped off a flight. The NCA said that he was arrested on suspicion of conspiring to import and supply drugs, firearms and ammunition, as well as money laundering offences. While he has not yet been charged over the long-running investigation into his trafficking enterprise, UK police discovered a stun gun during the searches on Saturday - which are illegal to own and possess in the UK. "Thomas Kavanagh, of Tamworth, was detained as he arrived at Birmingham Airport, and arrested on suspicion of conspiring to import and supply drugs, firearms and ammunition, as well as money laundering," a spokesperson for the NCA said. "NCA officers, supported by colleagues from An Garda Siochana and Staffordshire Police, conducted a number of searches and recovered a combination torch and stun gun - which is illegal to own and possess in the UK. "Kavanagh was remanded in custody overnight and will appear at North Staffordshire Magistrates' Court. "A 20-year-old man, who was arrested alongside Kavanagh at Birmingham Airport, has been released under investigation. "A third man, aged 19, was also arrested and released under investigation," the spokesperson added. 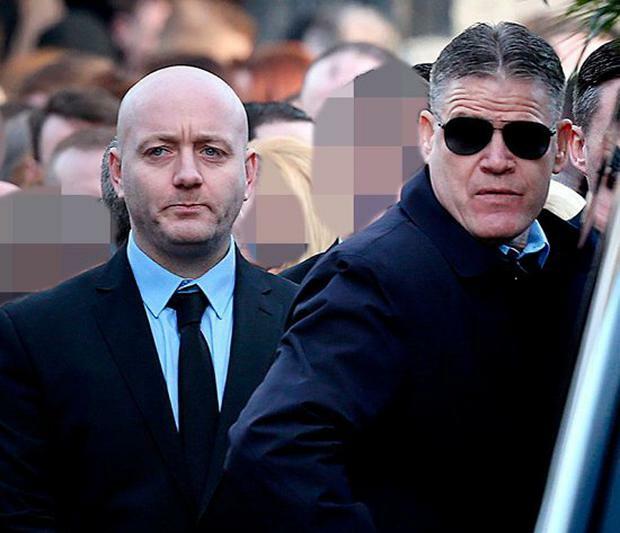 Originally from Drimnagh, Kavanagh has been a long-term associate of the Kinahan cartel and is related to top cartel lieutenant Liam Byrne through marriage. He has rarely returned to Dublin since leaving almost 10 years ago after being targeted by the Criminal Assets Bureau (CAB). However, he was spotted at the funeral of his brother-in-law David Byrne, who was shot dead in the Regency Hotel murder in February 2016. The CAB has previously described 'Bomber' Kavanagh as directing a wider organised crime network in Birmingham. As well as operating in the British Midlands, gardai suspect that Kavanagh also directs operations of the Kinahan cartel's Irish associates based in Liverpool. In October 2017, the NCA dealt a major blow to Kavanagh's network when around €5.5m of drugs and more than £225,000 (€252,000) in cash were seized in raids across the Midlands and Dover. "For the purpose of tackling organised crime groups, An Garda Siochana has commenced the new year in the manner in which it intends to proceed in 2019 - by engaging in the most impactful possible co-operation with law enforcement authorities at an international level," said Assistant Garda Commissioner John O'Driscoll, who is in charge of Special Crime Operations. "In this regard, the UK National Crime Agency is one of our most important allies, with whom we share a common desire to put organised crime groups who operate within the Common Travel Area out of business. "An Garda Siochana will not make any comment regarding any particular operation which is currently ongoing," Mr O'Driscoll added. Kavanagh has also come to the attention of UK police previously, having been given a suspended sentence in 2017 over a €85,000 fraud.